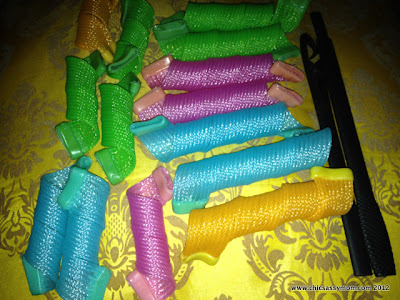 These are hair curlers for medium-short hair type. 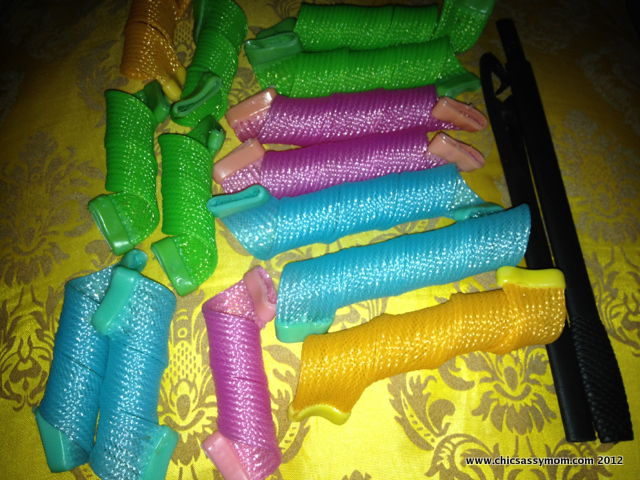 From the original version, these twisties a la curl formers (not the brand), when you stretch to straighten, should seamlessly go back to their original twisty forms, as a quality guide. I checked the prices online, they sell for Php 350-100 depending on the size and the number of twisties. Please note that the Curlformers go for $11 ++ for a starter pack. 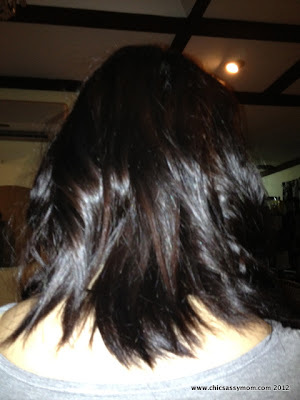 I have a wavy/straight, medium-length natural hair do. Oh yes, that's a heart magic hair pad from Skin Food. Sample visual How-to-use guide. Each twisty has an opening at both ends, insert the extended styling hook, and pull it completely through with the hook end on one opening. 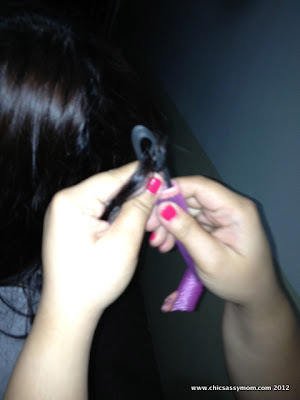 Put a size-able strand of hair to the styling hook. Recommended to twist it for easier pulling. 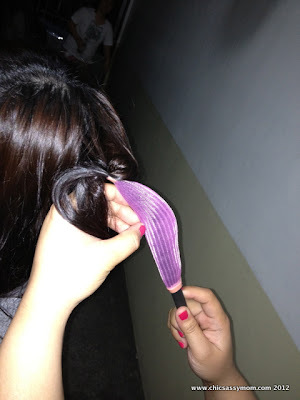 Pull the strand of hair inside the hair curler. 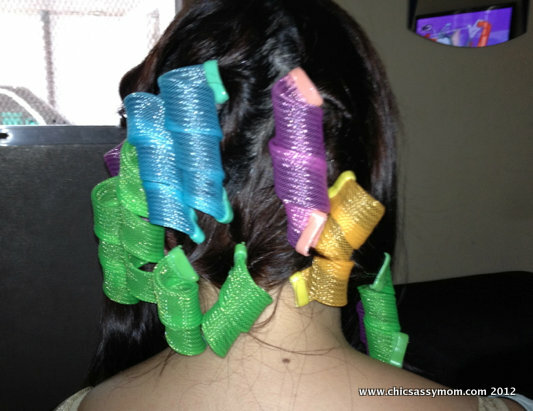 That's just an idea on the basics of how supposedly these hair rollers work. Please note that we, both my sister and friend included, can't confidently refer to it as d.i.y. hair curling. Someone did set the rollers for us especially at the back part. Thanks girls! Kisses! 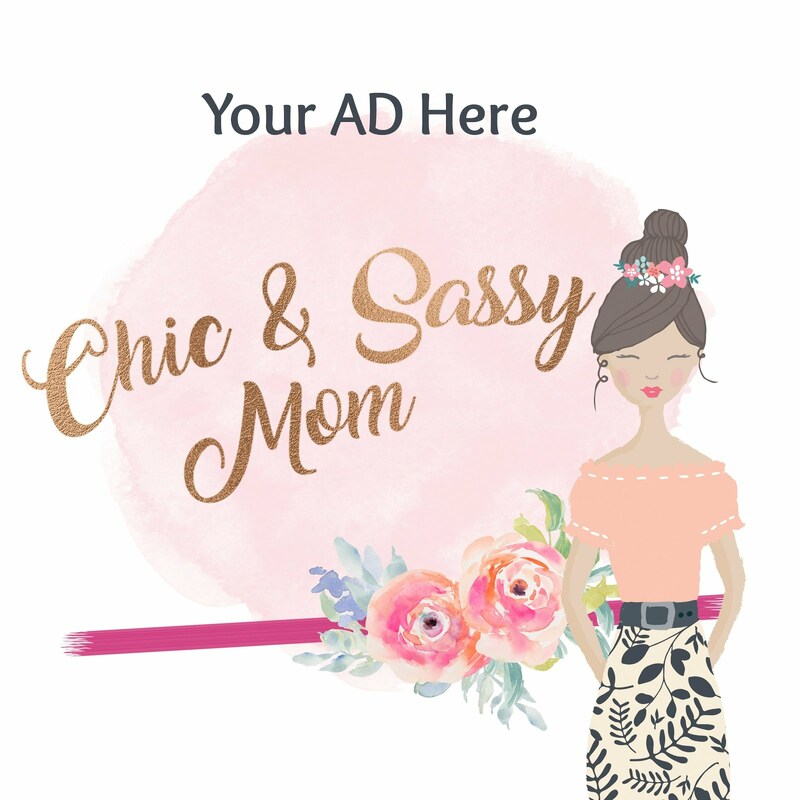 :-D So sorry, we're not that adept on the how to, so I'm referring you this link from the Curlformers on how to set your waves (must check out! ;-D). We only have about a dozen of these twisties, so we only did the back part. While I did the fron part, DIY, with my Philips Multi-styler. Tadaa! We don't have a setting lotion with us, so we used A LOT of Dove Hair Spray (which is alright, since it leaves a natural hold, but too much of it still made my hair stiffer that usual). We left the twisties on for about an hour. 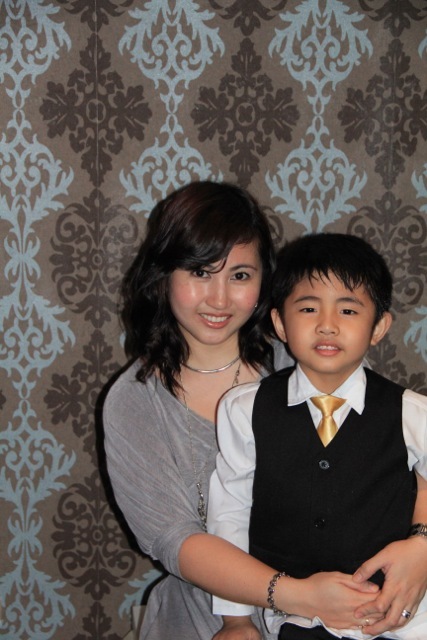 Halfway of the event, curls and waves were still defined...with my son, Chase. Three hours after, party's over..The curls would eventually settle after few hours. But still the waves looked softer and more natural. I asked hubby to take photo as soon as we arrived back from the party, more than three hours passed. And the curls were gone. Although, my curls for my sides, which were from the Philips Curling Iron, still held. We did overlook a lot of things, in fairness. We didn't use a setting lotion, and my hair wasn't damp when we applied the twisties. While it's advised not to overindulged on the setting lotions, it's possible to leave them on longer as possible. Also, it's recommended to blow dry while the twisties are on. Although, the Magic Leverag's instructions talk of to as little as 5 mins. 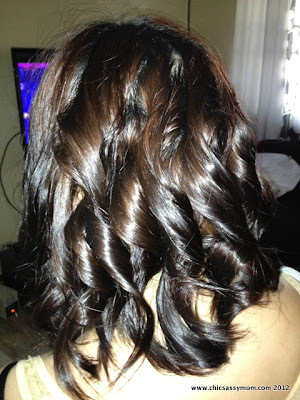 to achieve beautiful curls, I think that's meant to be prescribed if you're using a chemical perming formula. Overall, I like them, I think if we consider these overlooks next time (setting lotion, blow dry, leave on longer), it's possible to achieve better and lasting results. ;-D Although, maybe in time, it still pays to learn to go d.i.y. (do it yourself). Hmmm, so now, it makes me wonder how dramatic the difference in results from using the branded Curlformers. Did you try any of these curling twisties? Any tips, please do share. ;-D Cheers! Or if you want to try Curlformers, visit their official website. Socks? Seriously? ...I'll check it out. :) Yes it is from the same event. 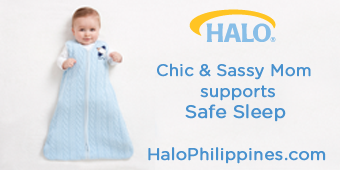 Lovely product. Thanks for sharing . I bought a big set of these but they didn't last long. They didn't really worked for me. 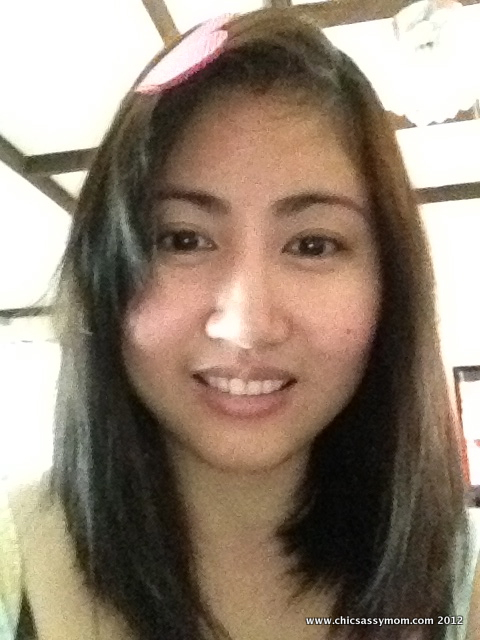 The iron curler works better, I guess.